Hind Ben Abdelkader is 1.72m international Belgian combo guard born in 1995 who is currently one of the best European players in her position and who stood out early with the Belgian National Team being MVP, Silver Medalist and Second Best Scorer in the U16 European Championship 2011, Best Scorer in the U17 World Championship 2012, Second Best Scorer in the U18 European Championship 2012 and Best Scorer in the U20 European Championship 2015. Hind also won the Bronze Medal in the 3x3 World Championship 2014 and the Silver Medal in the Skills Challenge. At club level, Hind Ben Abdelkader has experience in the Euroleague, in the Eurocup and apart from playing in Belgium and in the United States, she has played professionally in Spain, France, Turkey and Poland, being Polish Cup Champion and MVP in the 2015/16 season. Hind Ben Abdelkader is a hugely talented player with an unmatchable work ethic that allows her to keep improving year after year. Hind, who can play equally at the point guard and at the shooting guard position, is a great mid and long range shooter, has a deadly 1 on 1, is very creative and is also a leader on the court and an excellent defender. Hind Ben Abdelkader won the Belgian League with Waregem in the 2010/11 season and she averaged 4.8 points in 17 minutes per game. In the 2017/18 season, Hind Ben Abdelkader signed in Turkey with Hatay and she averaged 16.3 points in 28 minutes per game in Turkish League and 16.2 points per game in the Eurocup. With Hatay, Hind was Turkish Cup Finalist and Turkish League and Eurocup Semifinalist. 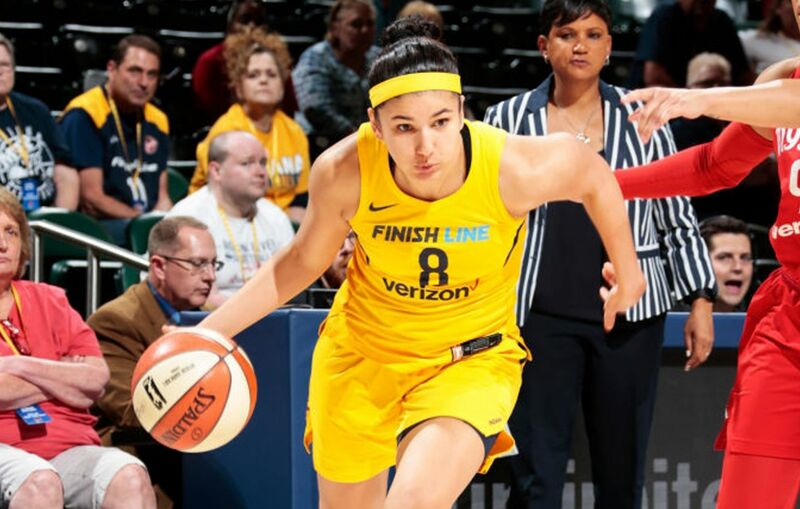 In April 2018, Hind Ben Abdelkader joined the Indiana Fever in the WNBA.